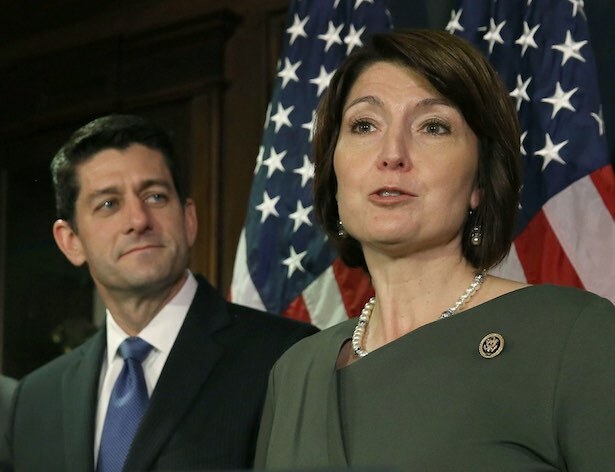 Congresswoman McMorris Rodgers has many noteworthy achievements. She has had 10 bills passed out of the U.S. House of Representatives, five of which have cleared the Senate and been signed into law by the President. Did you know she fought for and passed the Faster Care for Veterans act, authored major new laws to help people with disabilities to become independent, helped pass legislation to protect our Columbia and Snake River dams, won expanded support for the Spokane Teaching Health Center and community clinics to bring more doctors to rural and underserved communities, and won funding for 10 additional air tankers for Fairchild Air Base--making it the largest tanker support base in the world? She's been part of the administration that has brought dramatic increasing employment, lowering of unemployment for all folks, lowering of the number of people on welfare, lowering of health care costs, lowering of taxes and increases in take home pay, reducing the number of economic crippling federal regulations and stimulating new and old business development. She's working vigorously with administration officials to eliminate the international theft of our patents and inventions, and to re-establish fair trade. There's much work yet to be done. Cathy knows how to do it--and is already working hard for us. See cathyforcongress.com for a broader understanding of her accomplishments. Congresswoman Cathy McMorris Rodgers has earned our respect and support and clearly deserves to be re-elected.